Expansive visuals. 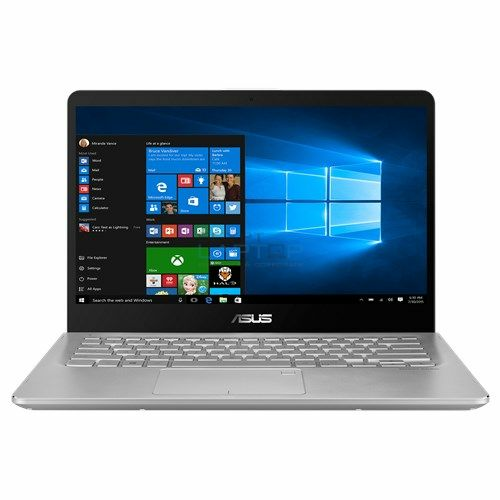 The ASUS Q405UA is a 14-inch convertible laptop that features the ultra-narrow ASUS NanoEdge bezel, allowing its 14-inch Full HD display to fit into a frame that’s the size of a typical 13-inch laptop. The slim and lightweight ASUS Q405UA is designed to suit any occasion. Use it as a stylish laptop, a handy tablet — or anything in between. Stylish and lightweight The ASUS Q405UA has an eye-catching aluminum chassis. With a 19.2mm profile and an overall weight of 3.5 lb, it’s one of the most portable 14-inch convertible laptops around. NanoEdge Display Fitting a 14-inch Full HD display into a frame size that’s typical of a 13-inch laptop isn’t easy — but the ultra-narrow 7.6mm NanoEdge bezel makes it possible. With its NanoEdge design, the ASUS Q405UA features an incredible 78% screen-to-body ratio and a larger display area for more immersive viewing. The Full HD display also features 100% sRGB color gamut and 178˚ wide-view technology to ensure that colors and contrast remain vivid and bold, even when viewed at sharp angles. This makes it the perfect solution for sharing content with friends and colleagues. Ultra-accurate touch The ASUS Q405UA is designed for ultimate touch experiences. Its high-precision touch sensors spaced at 6mm intervals ensure greater sensitivity over standard displays — so even the subtlest touches are detected.